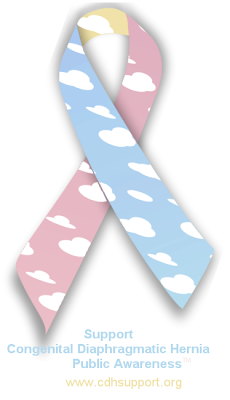 Would you like to help families affected by Congenital Diaphragmatic Hernia? 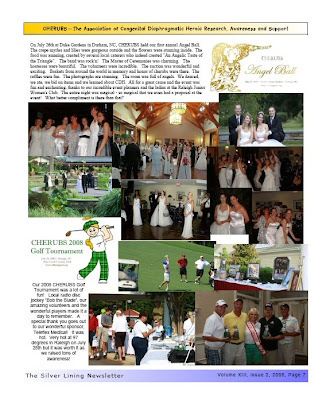 Would you like to do something in honor or in memory of a cherub? 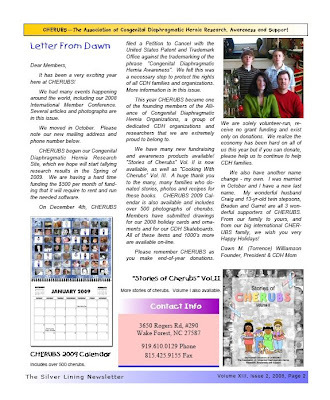 CHERUBS has created a new program that will soon be helping CDH families across the country. 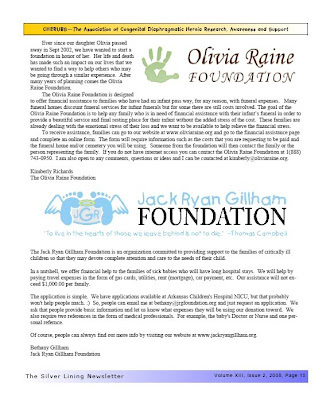 Adoption Plan #1 – You order / print out the list of items below and take them to the hospital. 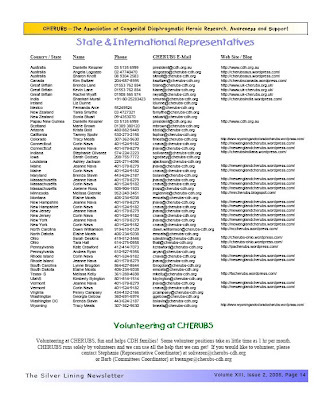 You also become a CHERUBS Hospital Ambassdor for new CDH families at that hospital and you periodically refurnish the materials. 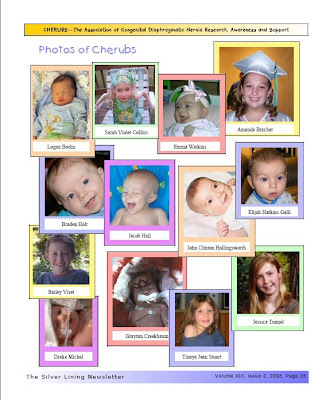 Adoption Plan #2 – You make a $100 donation to CHERUBS and we order and put together the materials and send them to the hospital in honor / memory of your cherub. These items are then available to all CDH parents admitted into these hospitals. 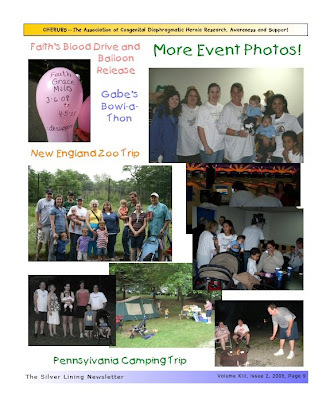 Upon joining CHERUBS, new parents will soon receive more information and support through our Gabe’s Gifts program. 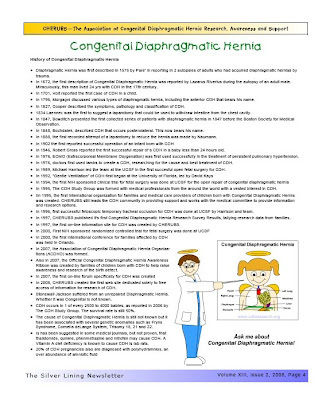 These items are an invaluable source of support and information for families affected by Congenital Diaphragmatic Hernia. Because there are so many hospitals, CHERUBS cannot possibly afford to donate to all hospitals and we are inviting our members and the general public to help us to help CDH families. 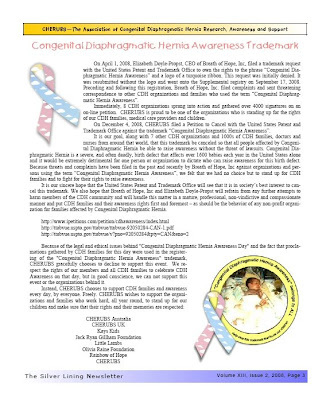 CHERUBS is proud to be a member of ACDHO (The Alliance of Congenital Diaphragmatic Hernia Organizations). 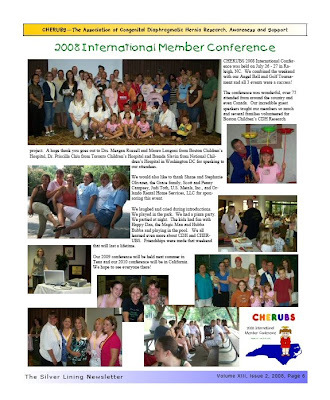 ACDHO was formed to build a stronger CDH community, with emphasis on working together in a professional and supportive manner, encouraging CDH Awareness and fighting against the ownership of it, increasing CDH Research and mostly to collectively offer CDH Families the most support possible. 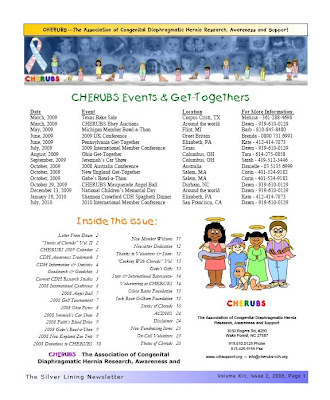 CHERUBS has been working with many of these organizations for years and some are very new. We have also been working with all CDH clinics and fetal care centers since the first one opened it’s doors in San Francisco in the early 1990’s. 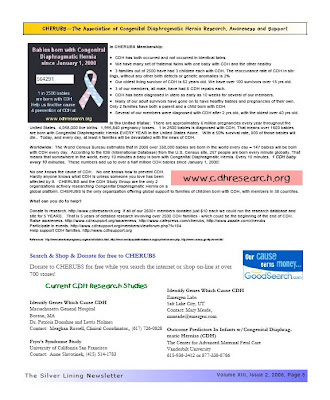 Of course there are more CDH clinics and hospitals who are involved and supportive as well! 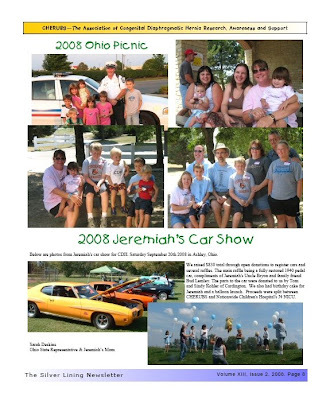 And we all have 1 thing in common – the desire to help families dealing with Congenital Diaphragmatic Hernia without any competition amongst each other, any ulterior motives and the drive to see “Congenital Diaphragmatic Hernia Awareness” given back to the families and researchers. 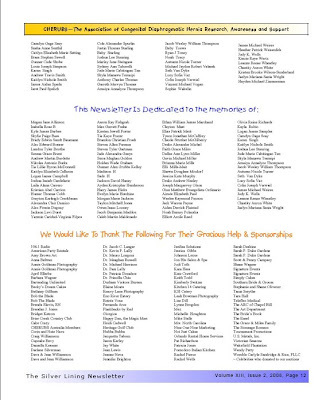 This is what Congenital Diaphragmatic Hernia Support is all about and we are so proud to be a part of it! 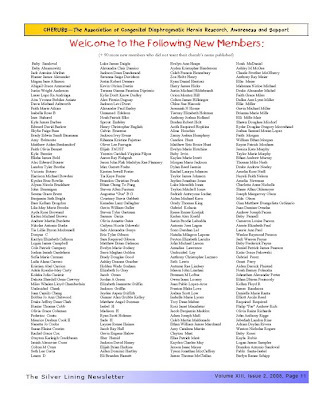 CHERUBS is extremely proud to be a member of ACDHO (Alliance of Congenital Diaphragmatic Hernia Organizations), CDH organizations and foundations working together to help families affected by Congenital Diaphragmatic Hernia.